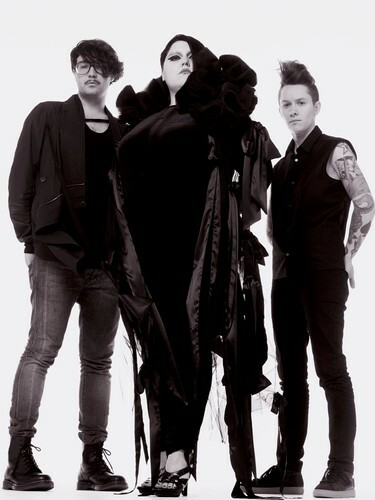 Gossip is a three-piece American indie rock band formed in 1999. The band consists of singer Beth Ditto, guitarist Brace Paine and drummer Hannah Blilie. After releasing several recordings, the band broke through with their 2006 studio album, Standing in the Way of Control (2006). A follow-up, Music for Men, was released in 2009. The band plays a mix of post punk indie rock and dance-punk. Gossip are based in Portland, Oregon and have played with bands such as Sleater-Kinney, Le Tigre, CSS, Erase Errata, Mika Miko, Panther, Comanechi, and Mates of State. Gossip also opened for the Scissor Sisters for three dates on their November 2006 tour.